ALL classes cover Adult, Child and Infant CPR, Choking (Heimlich) and AED! CHECK A BOX NEXT TO THE DATE YOU WANT, THEN SCROLL TO THE BOTTOM TO PICK AN AMERICAN HEART ASSOCIATION (AHA) CLASS DATE, LOCATION AND TIME FROM OUR SCHEDULE. First time class is $200 cash or check only. Renewals, with valid card (not expired) is $150 cash or check only. Note that you must also pay a $4.00 acls registration fee online as well before the class. Sign up for either class here. First time class is $200 cash or check only and renewals, with valid card is $150 cash or check only. Note that you must also pay a $4.00 acls registration fee online as well. Sign up for either class here. This is at our Coral Springs Office. This is an official American Heart Association Pediatric Advance Life Support (PALS) class. Course Description: This class is based on science evidence from the 2010/2011 AHA Guidelines for CPR and ECC. The goal of the PALS course is to aid the pediatric healthcare provider in developing the knowledge and skills necessary to efficiently and effectively manage critically ill infants and children, resulting in improved outcomes. Skills taught include recognition and treatment of infants and children at risk for cardiopulmonary arrest; the systematic approach to pediatric assessment; effective respiratory management; defibrillation and synchronized cardioversion; intraosseous access and fluid bolus administration; and effective resuscitation team dynamics. Sign up on our schedule page. There is also a small $4.00 online credit card reservation fee that you must pay when you register. Price: $200 Renewal or $215 First Time Class price. This is at our West Palm Beach Office. 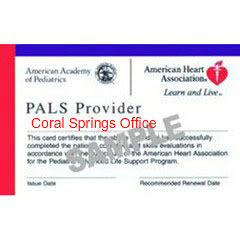 This is an official American Heart Association Pediatric Advance Life Support (PALS) class. Course Description: This class is based on science evidence from the 2010/2011 AHA Guidelines for CPR and ECC. The goal of the PALS course is to aid the pediatric healthcare provider in developing the knowledge and skills necessary to efficiently and effectively manage critically ill infants and children, resulting in improved outcomes. Skills taught include recognition and treatment of infants and children at risk for cardiopulmonary arrest; the systematic approach to pediatric assessment; effective respiratory management; defibrillation and synchronized cardioversion; intraosseous access and fluid bolus administration; and effective resuscitation team dynamics. Sign up on our schedule page. 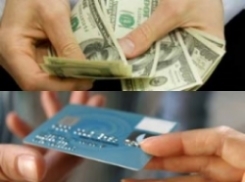 There is also a small $4.00 online credit card reservation fee. This class is at our West Palm Beach Office. This pet cpr and first aid class is designed for you to learn cpr and first aid emergency skills to help or save your dog, cat or puppy. Emergency skills such as what to do if your pet has a seizure, suffers an electric shock, is injured in a car accident or ingests poison. You’ll also be trained to administer CPR if your pet stops breathing (yes, you can give a dog or cat mouth-to-mouth — really mouth-to-nose in this case — and yes, we practiced on dog and cat dummies). You will also learn choking, Cuts and bleeding - Rescue Breathing and CPR - Simple Medication Administration - Fractures and Sprains - Animal Bites or Insect Stings - Cuts, Burns or Severe Cold injuries and more. We will list dates of where we will have classes or we can travel to you. To sign up, email puppycpr@gmail.com if we have no dates listed. Need another date, private class or group that needs to be trained? WE CAN COME TO YOU OR WE HAVE OFFICES IN CORAL SPRINGS, MIAMI, FORT LAUDERDALE, TALLAHASSEE AND WEST PALM BEACH! 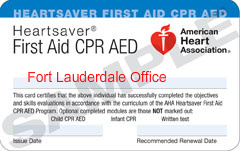 ALL CLASSES COVER ADULT, CHILD AND INFANT CPR AND HOW TO USE AN AED! 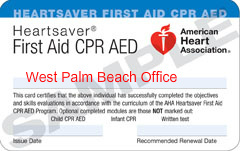 If no cpr, first aid, bls, pals, bloodborne pathogens or acls class suites your needs already listed on the dates above, we do large, small or private classes on other dates or at your own location for separate fees. We now even do pet cpr and first aid classes for dogs, cats and puppies!